While working towards getting your driver’s license is exciting and empowering, it can also be a time of uncertainty. As a new driver, you have a lot on your plate. You have to remember all the rules of the road all the while applying your newly acquired driving skills to everyday driving. If you feel a bit nervous or intimidated when you step behind the wheel, don’t worry, you’re not alone. 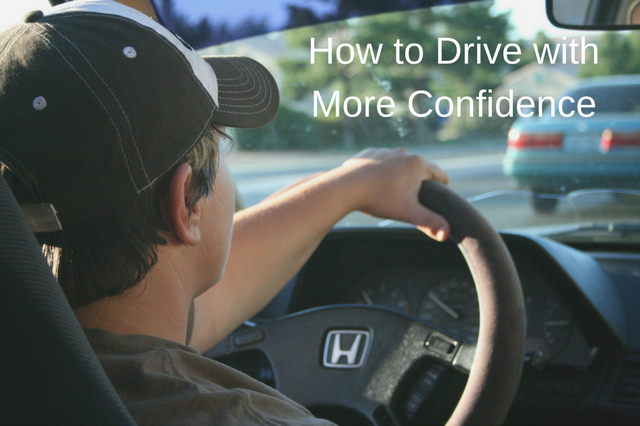 With a bit of practice and education, you’ll be safely driving with confidence in no time. There’s a reason why Colorado has a graduated driver licensing program (GDL); statistics show that driving and visual spatial and judgment skills take the time to develop. To get your full driver’s license, you need to log 50 hours of practice (with 10 of those being at night), plus 6 hours with an instructor. While this might seem like a long time, have fun with it by driving on different roads at different times of the day. Knowledge of local traffic laws is the key to driving with confidence. Completing a teen driver’s education course is helpful in ensuring you know all the latest traffic laws. You’ll learn the essential information on how the speed limit is different when driving in a school zone or a residential area and you’ll become familiar with all types of traffic signs. For more information on local traffic laws, check out the Colorado Driver’s Handbook. All vehicles operate a bit differently, so it’s best to practice with the car you’ll be driving. You should know where to turn on the signal lights, windshield wipers, headlights, the emergency hazard lights, how to open your gas cap, and which side of the car it’s located. In case your vehicle ever breaks down, you should know how to change a flat tire, how to pop open the hood of the car, and how to operate jumper cables. It only takes a split second for you to become distracted and get into an accident. While you may think you can safely multi-task, don’t text and drive and keep your eyes on the road at all times. Phone calls, finding the perfect song to play, fiddling with your GPS system, or eating food in the car can create an accident. If you like to drive with music in the car, make sure you can still hear noises around you such as the sound of an oncoming ambulance. Do you know how to handle your vehicle in adverse road and weather conditions, or how to judge the distance of cars in front of you? Do you know about the advanced techniques of operating a car? Our driving programs in Denver, Littleton, and Grand Junction can help! Taking a class at a driving institute to learn how to drive safely is a great confidence booster. Our teen driver’s education courses and precision skills track will teach you how to improve your driving skills with the most up-to-date, high-quality curriculum in the state of Colorado. Click here to sign up!